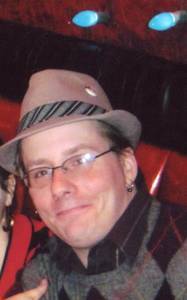 Andrew Gabriel Grundy was taken home January 23, 2017 at the age of 39 years. He was preceded in death by his mother Jeanine R. Grundy (nee Duskey). He is survived by his father, Ronald Grundy; stepmother, Carol Grundy; brother, Daniel Grundy; sister-in-law, Michelle Grundy; aunts Peggy Benn, and Carol Grundy; uncles Philip (Bonnie) Grundy and Gary (Jackie) Grundy; niece Kendra Grundy; nephews Jacob (Megan) Grundy, Joseph (Kira) Grundy, and Aaron (Jessie) Grundy; and great-nieces and nephews Harper, Ember, Hayden, and Bryson Grundy. Further survived by many friends. Andy was a graduate of Wisconsin Lutheran High School and UW-Milwaukee. Family and friends will gather at St. John’s Evangelical Lutheran Church, 6700 S. Howell Ave. Oak Creek, WI 53154 on Sat. Jan. 28, 2017 from 3:00 PM until the time of the Memorial Service at 4:00 PM. In lieu of flowers, memorials to St. John’s Evangelical Lutheran Church, appreciated.